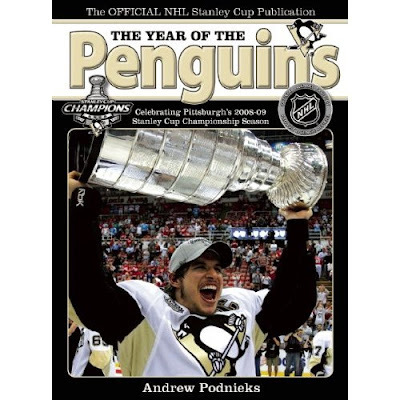 Andrew Podnieks and HB Fenn have come out with The Year of the Penguins: Celebrating Pittsburgh's 2008-09 Stanley Cup Championship Season. The colorful 184 glossy page book relives the Penguins magical season and exciting NHL playoffs. You can also pick up a similar product in the 100 minute documentary 2009 Stanley Cup DVD that is also already released. Stay tuned, I expect to announce giveaway copies soon. Read the book, and it's the best summary of the season out there. There is a summary of every - and I mean every - game of the entire season. Great photos too.